Choosing careers that are right for students. 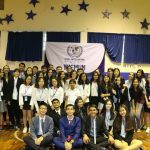 On September 17th Grade 10, 11 and selected 12 students received a visit from prestigious New York University. 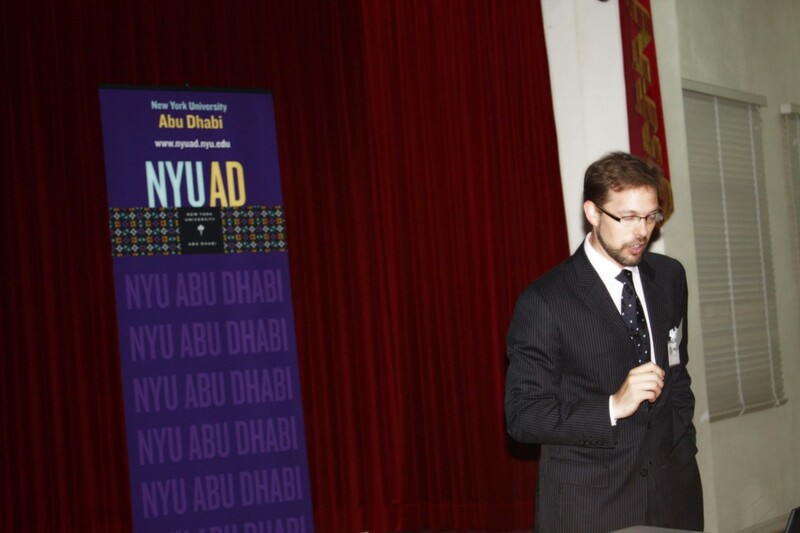 Mr. Steven Houghton, a NYU Abu Dhabi representative, inspired Wells students by providing information on one of the foremost private, global research institutions in the United States—one that has expanded its global network with a satellite campus in Abu Dhabi and through international academic centers. The new NYU Abu Dhabi campus is a highly selective liberal arts and science college that provides semesters abroad at various locations in NYU’s global network, as well as generous financial aid packages for qualified students. Students enrolled in NYU are able to make progress toward gaining degrees on five continents—Africa, Asia, Europe, North America, and South America—and in cities such as Accra, Berlin, Buenos Aires, Florence, London, Madrid and Paris. 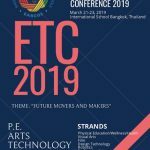 The purpose of ongoing college visits is for high school students to begin thinking about their future interests and education, and also give them a taste of college life. 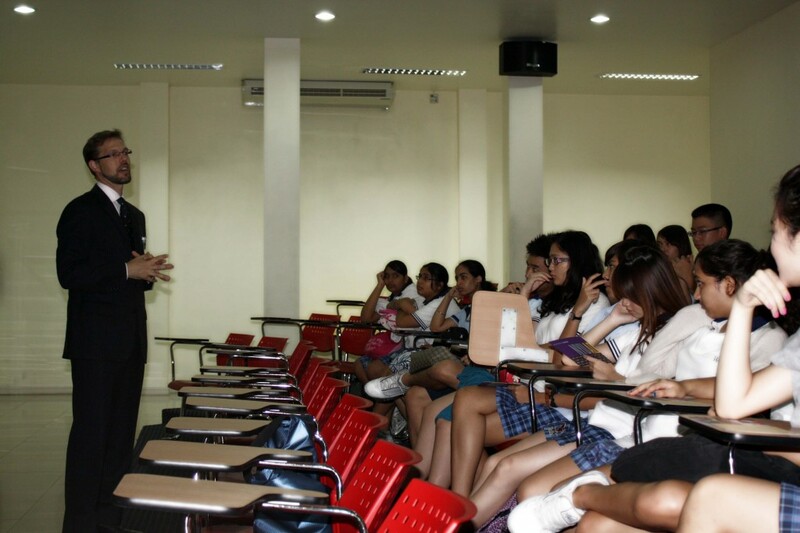 Such visits provide an overview of the colleges, the admissions processes and career programs. Students are able to have discussions that answer their need to plan for their future education. Post-secondary plans should be a joint decision between parents and students; our role as educators at Wells is to provide the best education possible to help students achieve these goals and to provide career data to allow for informed decisions that will best benefit the students. As the first Wells seniors approach graduation, several presitigious universities have courted their attention. 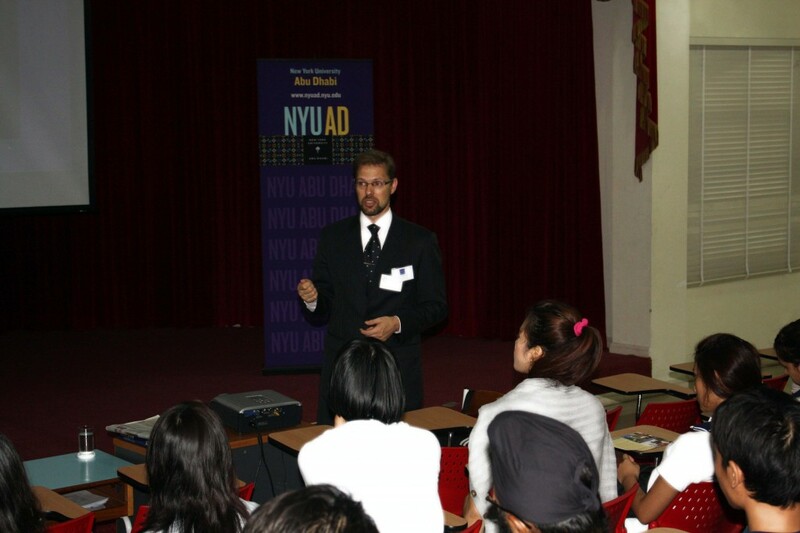 NYU’s multicultural approach and global campus system appealed to many Wells students. 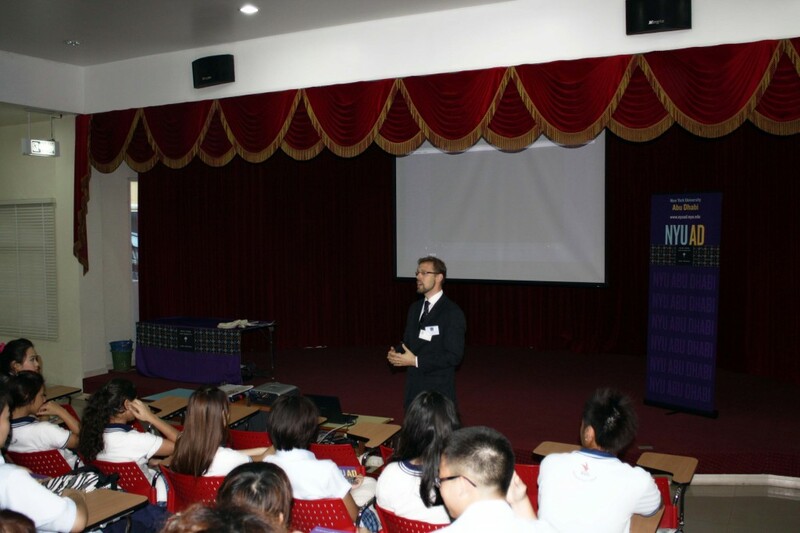 The NYU representative explains the system’s structure. Students listen attentively to the NYU presenter.